In Henrico County, we’ve got the infrastructure to handle all your needs. Our connectivity capabilities and internal support systems provide everything your business requires so that you can focus on more important things – like growth and innovation. The area has state-of-the-art telecommunications offerings, including fiber optics, high-speed internet, wireless and voice over IP. Dominion Virginia Power provides electric power to Henrico, with a typical industrial electric bill that is 20% below the national average. Dominion’s reliability rate for the area is 99.98% (excluding major storms). Henrico County's Department of Public Utilities provides high-capacity water and sewer service. The current capacity is 115 MGD. The Cobbs Creek Reservoir is a regional water supply project designed to help Henrico County provide water to residents and businesses for the next 50 years. The current capacity is 75 MGD. Service is provided by Henrico County's Department of Public Utilities. 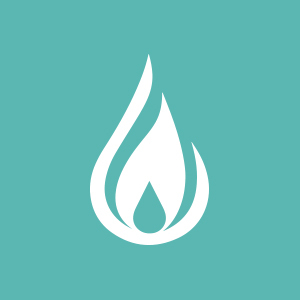 The City of Richmond Department of Public Utilities provides natural gas, with customers seeing occasional decreases in purchased gas costs. Current capacity is up to 120 psi. I-95 and I-64 – major north-south and east-west highway corridors – bisect Henrico. I-85 connects just south of Henrico. Freight service is provided by CSX, Norfolk Southern and Buckingham Branch Railroad. Richmond Marine Terminal, just a few miles outside the Henrico border, provides direct barge service to the Port of Virginia. The Port of Virginia can currently handle post-Panamax ships as first and last port of call. Richmond International Airport (RIC) provides service to over 3 million passengers annually. UPS and FedEx operate freight hubs at RIC, designated Foreign Trade Zone #207.